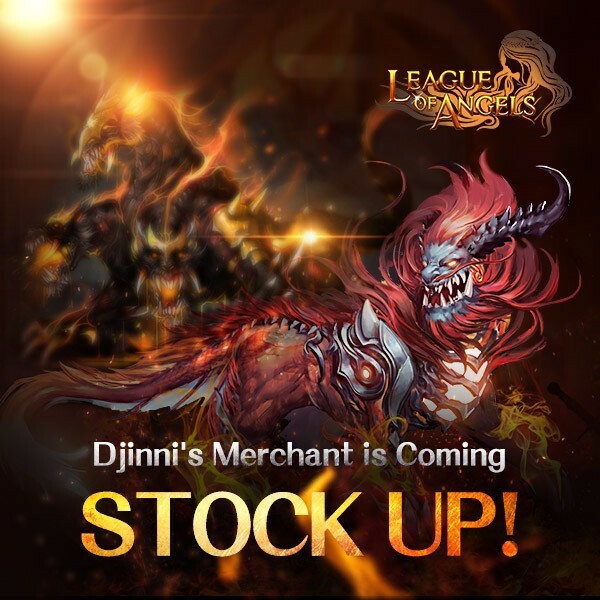 LoA_ Djinni's Merchant: Stock Up what you need! 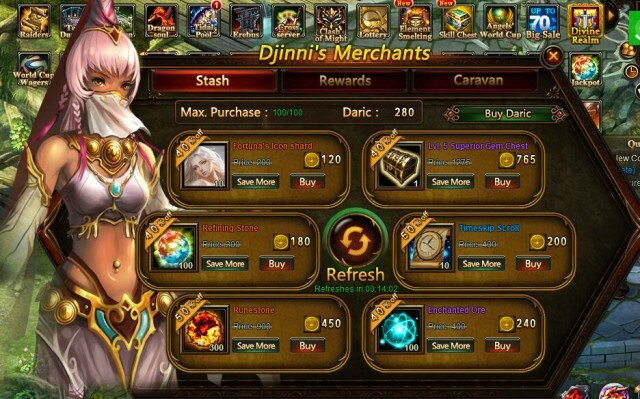 Description: Buy items with Darics from the Djinni's Merchants for a discounted price; they will be up to 90% off. - Click the “Refresh” button for a chance to buy different discounted items. 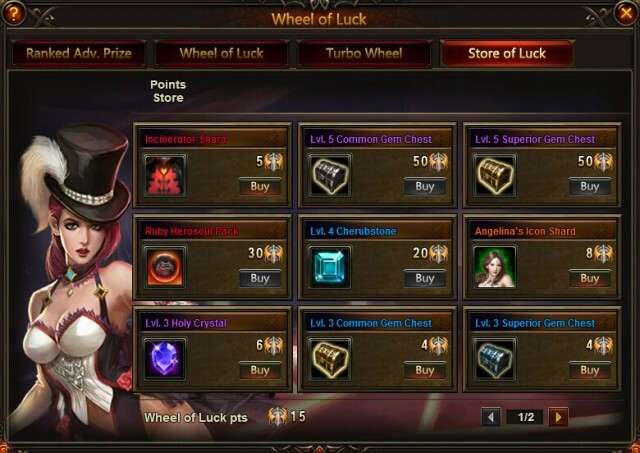 The commodities include Cerebus Shard, Nian Shard, Iron Cockatrice Shard, Banner Wings Shard, Enchanted Ore, Blessed Stone, Soulstone, Seraph's Stone, Gem Enhancement Stone, Element Crystal, Aegis Shard, Refining Stone, Runestone,Lvl. 3 Cherubstone, Lvl. 3 Holy Crystal, Lvl. 4 Cherubstone, Lvl. 4 Holy Crystal, Lvl. 5 Superior Gem Chest, Lvl. 5 Common Gem Chest, Angel Tears, Gold, and many more. 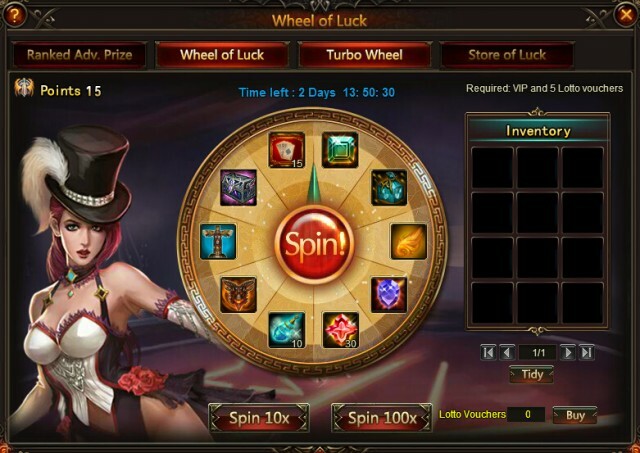 Description: Spin the wheel of Luck to win Elvish Spring, Snow Wings, and Lvl. 23/24/25 Hero Mark! - At the end of the event, the Top 10 players who have at least 150 total points or 800 points will get extra rewards as follows. 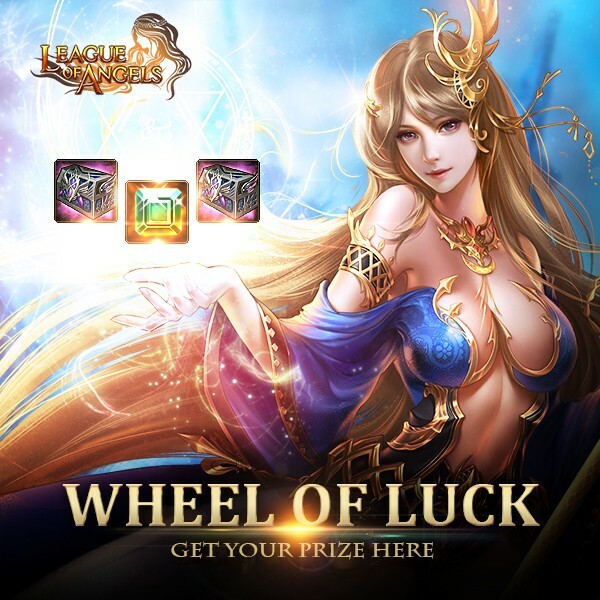 Description: Log in every day to win Jackpot Lotto Voucher and Darics! Server: S1 to S872 Description: Gain enough points in Gemology to collect Gem Enhancement Stones and extra rewards! 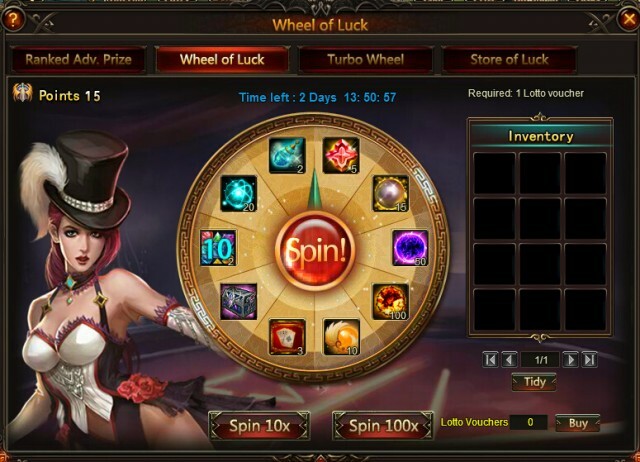 More exciting events are coming up through Apr 7 to Apr 11 (server time). Check them out in the in-game Hot Events menu now! LoA_Easter Bunny: Crazy Easter, Have Fun! LoA_Beach Treasure: For Amazing Pleasure!